It's that time of year again and Stampin' Up has their Sale-a-bration happening now January 24, 2012 through March 31, 2012. Earn a FREE product with every $50.00 purchase (before shipping and taxes). 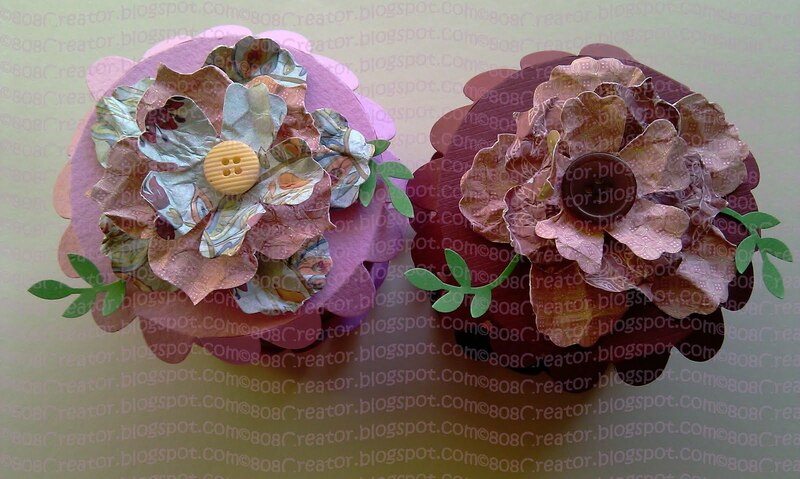 Visit my store and start shopping around for your next crafting projects. Online Extravaganza, our annual sale to kick off the holiday shopping season, will begin Monday, November 21, 2011, and run through Wednesday, November 30, 2011. Take advantage of great savings, like FREE digital downloads valued at $40 when you buy My Digital Studio Express, 60 percent off select Designer Fabrics, and 30 percent off an exclusive ribbon bundle! 24-HOUR-ONLY DEALS DURING ONLINE EXTRAVAGANZA! The Online Extravaganza 24-hour-only sale will be available from November 21, 12:01 AM - 11:59 PM (MT). These special offers will not be extended past the deadline, visit my site for your crafting needs at great prices. 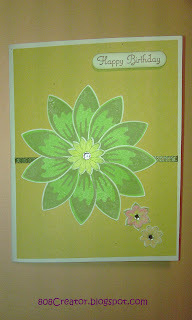 Summer has come and gone and today is the new day for our Stampin' Up 2011 Holiday Mini Catalog! There are so many fun and new products in this year's Holiday Mini Catalog to craft with for Halloween, Thanksgiving and of course Christmas. Visit my Stampin' Up Store today and start your holiday shopping! Don't miss out on what's new to share! I am so amazed at myself for creating such an awesome birthday cake favor box for two wonderful ladies I have a pleasure knowing and crafting with. A group of ladies and myself celebrated two birthdays this month for a mother and daughter at our monthly gathering. I thought this would be a great gift to share with some treats for each of the birthday gals. I just love how it turned out. 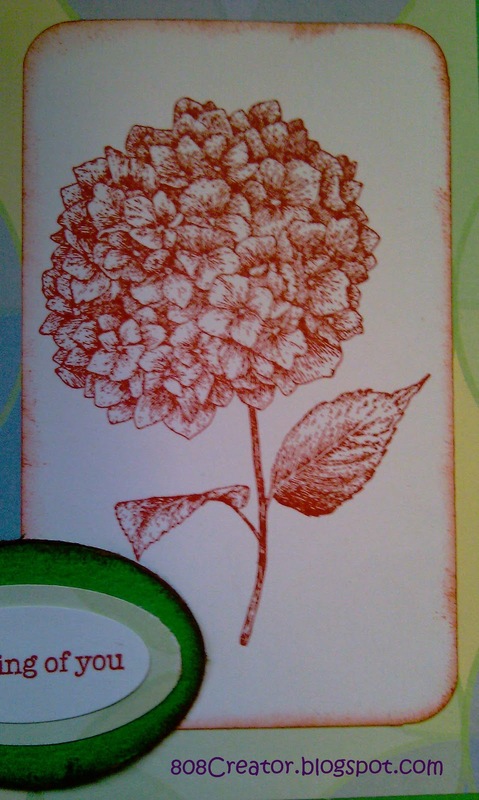 For the month of August Stampin' Up has a great promotion happening Buy 3 Get 1 Free on designer series paper packs beginning on August 1st, 2011 through August 31st, 2011. Visit my page on the great designer series papers listed in the Stampin' Up Idea Book & Catalog 2011 - 2012. 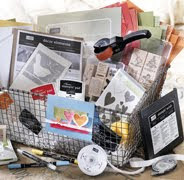 This is a great way to stock up on your favorite DSP for all your crafting needs. 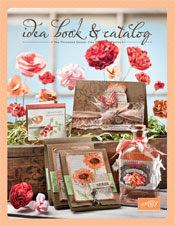 It is that time for the new Stampin' Up Idea Book & Catalog 2011 - 2012 has arrived. Visit me page and check out all the new Stampin' Up products in this years catalog. 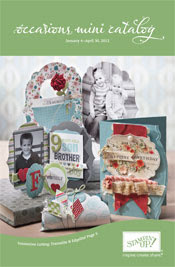 As I had mentioned in my earlier post of the birthdays this month with family & friends, creating birthday cards have been fun to make in this new Occasions Mini Catalog. 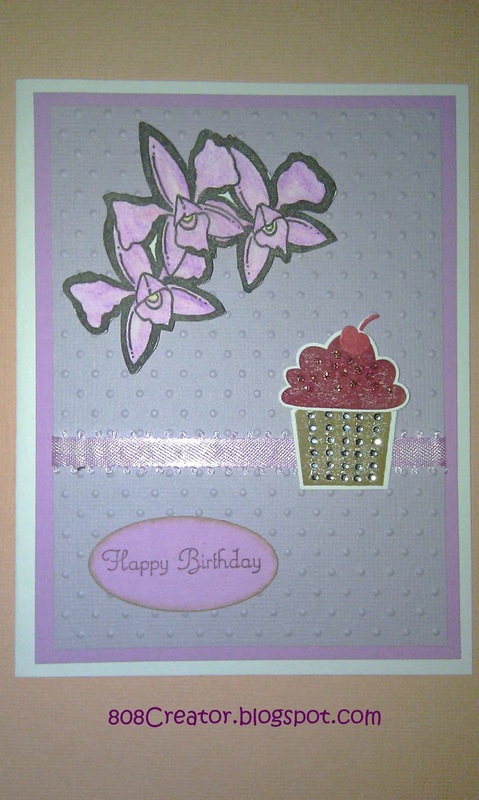 Here is another fabulous birthday card for you. 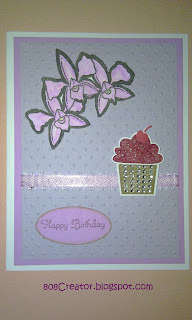 I am loving this Build A Blossoms Stamp set and Blossoms Petal XL Punch together. You can create your flowers any which way you want in any color and size petals. Don't forget if you haven't done so, subscribe to my blog, become a follower both here and Facebook at 808Creator. Happy Crafting!! I know that I have been M.I.A. for a while and I truly apologize. So many things are happening with work and family that I have not been posting much. But it is the New Year and my goal is to post what I have created as well with the happenings with Stampin' Up and life itself. So let's get started! 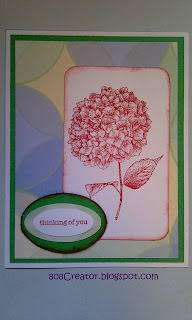 As you may all know earlier this month I posted about the new Occasions Mini Catalog with Stampin' Up. In this mini catalog there are many new products for all your crafting needs, from stamps to die cuts and fabrics and more. I want to share with you all just some of the projects that I have created with whats in the new Occasions Mini Catalog. 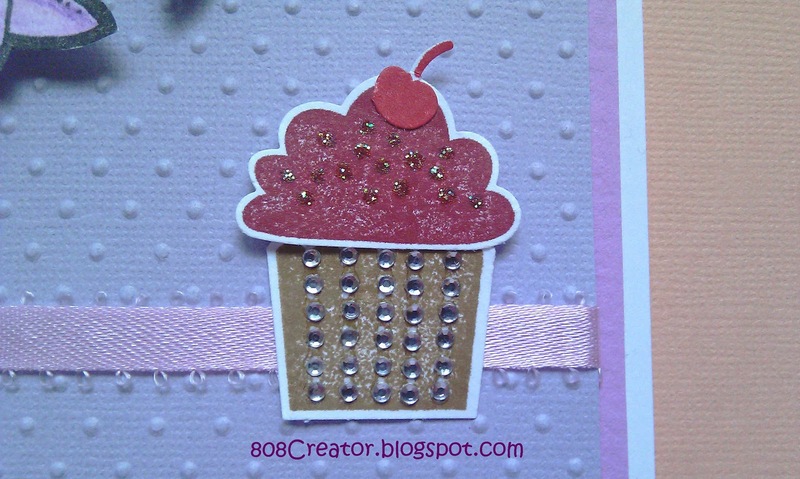 My first card is a birthday theme using the Build A Cupcake XL Punch with the coordinating Create A Cupcake (clear) stamp set and Stampin' Up inks. This month I have had a pleasure of celebrating family and friends birthday and these two products were just a perfect set to use in creating birthday cards for all ages. If you or anyone you know interested in purchasing the Punahele Stamps please visit my 808Creator fan page on Facebook and click onto the Shop Now tab and purchase yours today. 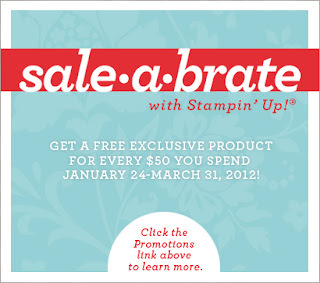 It is that time of year again, Stampin' Up has there Sale-A-Bration happening from January 25, 2011 to April 30, 2011. When you purchase $50.00 of Stampin' Up products your rewarded with one of the free products in the Sale-A-Bration catalog or choose from the Idea Book & Catalog sets valued at $14.95 or less. (Listings of products are shown on the catalog on my site.) This is a great start of the year with your crafting needs with a free gift. I've read your postings on my Cbox on how everyone enjoys my blog and of how the subscription had not been working well for many of you. Well I have been working on it and I hope I got it right. Please head on to the right side of the blog and subscribe to my blog by filling out your email address and confirming your subscription after receiving your email confirmation. 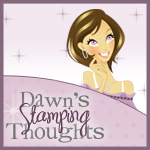 I hope you following along and receive email notifications of what's going on and hear about the new things that is happening with Stampin' Up. If you are encountering any difficulties in subscribing please feel free to message me on Cbox and I will work on the issue to fix it. If you have any questions on crafting please don't hesitate to ask and I will do my best to answer your questions for you and share it with everyone as well. This is going to be a great year and I am happy to have you follow along on my blog and on Facebook. Become a follower if you haven't already done so and don't forget to share with your friends and family about my blog and Facebook too. Have a great night crafter's!! 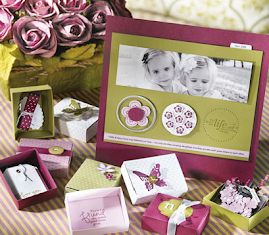 Have you seen the new 2011 Occasions Mini Catalog? Well if you haven't yet Click Here and start shopping for Valentine's, Easter and Mother's Day products today. There are so many new and cute items in this catalog that your mind will be racing with ideas on your next scrapbooking page or holiday card to share with family and friends. The catalog runs from January 4, 2011 through April 30, 2011. Don't wait to long so hurry and start shopping! I want to wish you All Happy and Prosperous New Year!! 2010 had been a year of ups and downs and yet I have learned so much with my family, friends old and new. Time had flew by so quickly that the year is now to an end. I pray you and your loved ones have a safe and memorable celebration as we look forward to 2011. I want to express my gratitude in allowing me to share what I find peace in my crafting and am blessed to be able to share my knowledge with you all. 2011 will be a new beginning as I plan to share more of my passion in crafting and look forward to inspiring you and your friends with new ideas. It has been a busy day with my usual house chores and spending time with the family. In between, I have been finally been able to upload and post all the wonderful Holiday cards and Everyday cards only my Etsy page along with my fan page on Facebook. 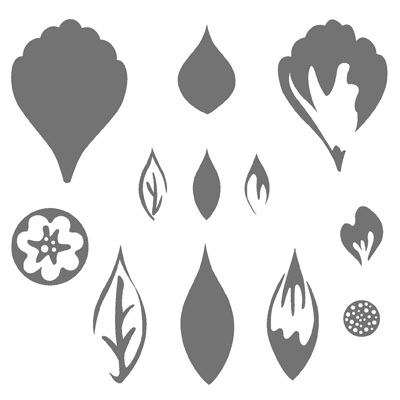 There are a selection of cards to choose from for your family and friends. 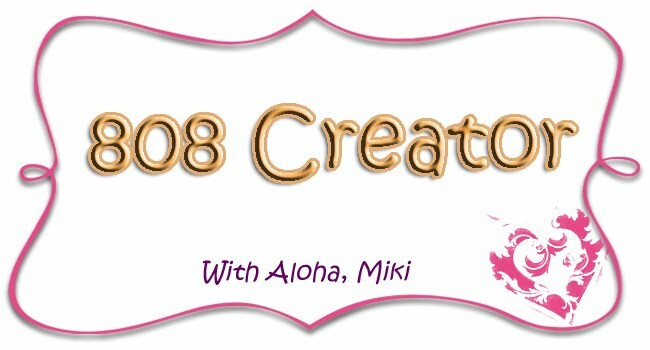 Click here for 808Creator Etsy Page and 808Creator Facebook Page Don't forget if you haven't done so, become a follower on my blog and on Facebook. Have a great day & Happy Crafting!! Valentine's Day is the second biggest holiday for sending cards, and during the Filled with Love Promotion, you can get an exclusive package of Designer Series Paper perfect for creating cards for family, friends, classmates, and more! From December 17, 2010 through January 24, 2011, get a FREE package of Bitty Buttons--a $4.95 value--when you purchase an exclusive Filled with Love Bundle. 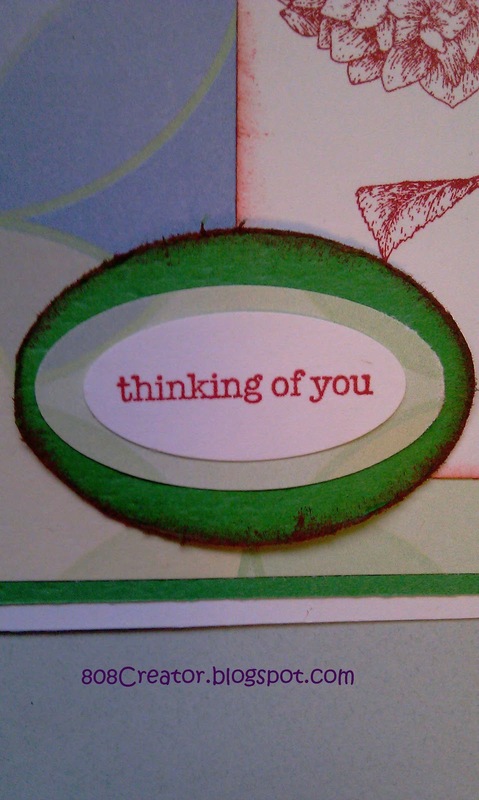 Have you heard the AWESOME news from Stampin' Up? We are having a one week of Online Spectacular sale happening. Savings of up to 50% off fabulous products and with a $150 merchandise purchase you can receive free SHIPPING! Click Here to start your holiday shopping for you or for friends! There is still time to catch some of the these fabulous Stampin' Up products over at the Clearance Rack. Click Here and start shopping!! Are you ready for the holidays? 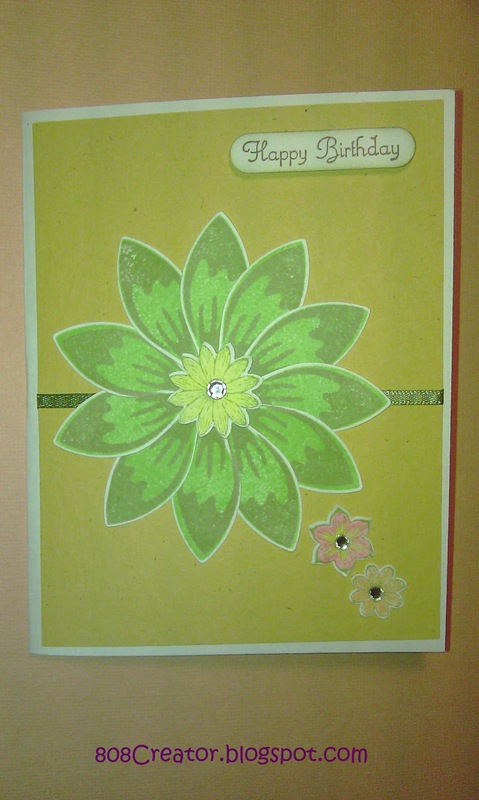 Visit my site on the ABC's to a Perfect Homemade Holiday cards, scrapbooking, gift bag and frame. Great bundles at a great price. Get your bundle set and start your holiday crafting early. Click Here to start your shopping. 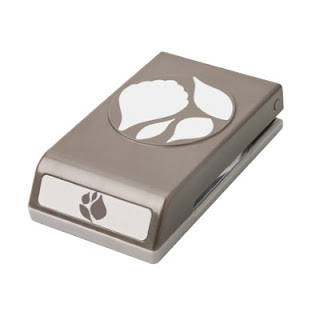 Have you seen what's new in the Stampin' Up Clearance Rack? Come and see what is available at great prices up to 80% off. There are so many great products at such a awesome price. Click Here and start shopping. The holidays are just around the corner and there are some great stocking stuffer for your fellow crafter's. 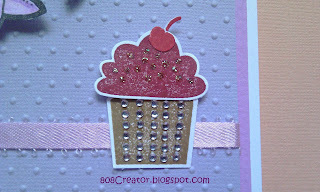 I am enjoying my new Because I Care Hostess stamp set! 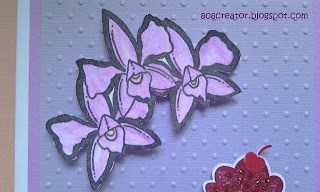 I've created another card using this flower along with the Teeny Tiny Wishes stamp set. If you are interested in these products Click Here to purchase these for your next projects. Feel free to leave a comment on this and other postings on my blog. 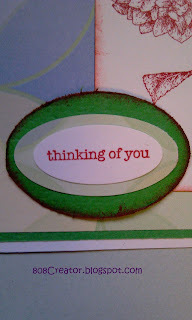 I am an independent Stampin’ Up Demonstrator here sharing my creations of paper crafting from cards, scrapbooking and more. This is my personal blog where I am happy to share with you all what I love to do. I'm a mother of three great active children, a wife, full-time employeed, and part-time student. I live in Maui, Hawaii all my life and loving the paradise lifestyle. 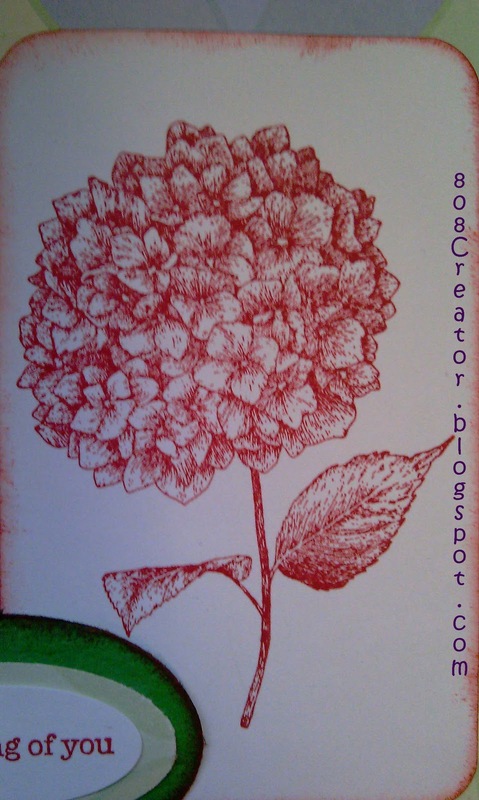 All content included on our site is COPYRIGHT © 808 Creator by Michelle Original artwork. It is shared for your personal inspiration and enjoyment only and may not be used for publication, submissions, or design contests. So in other words, you can copy for your personal use but please don't try to claim my work as your own. 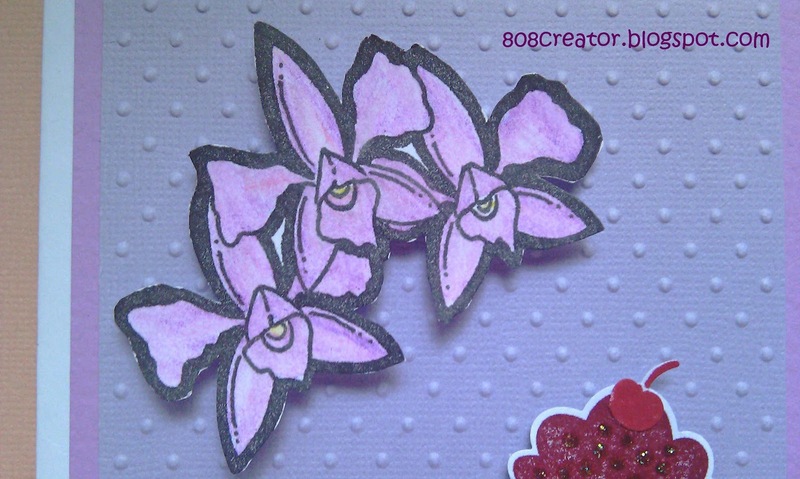 CREATING PRETTY CARDS MONTHLY CARD CHALLENGE! YAY!!! The Christmas Display Tray Class is Fri. Dec. 11th @ 6:30 p.m.